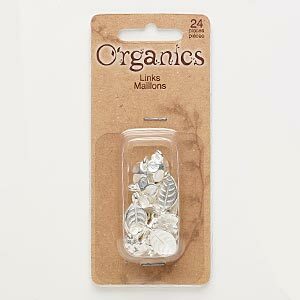 Item Number: H20-A2456FN Have a question about this item? 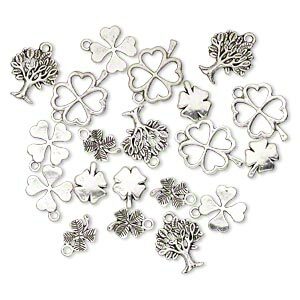 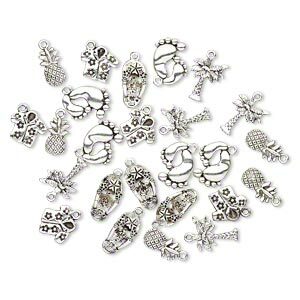 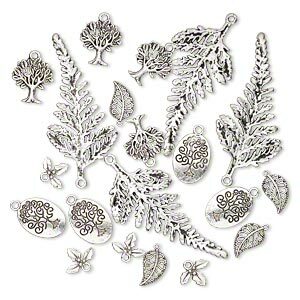 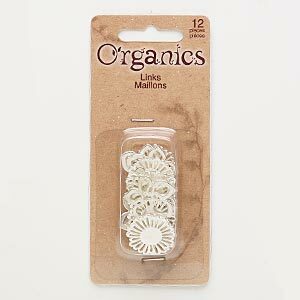 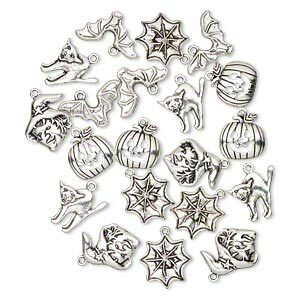 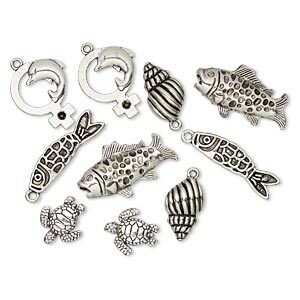 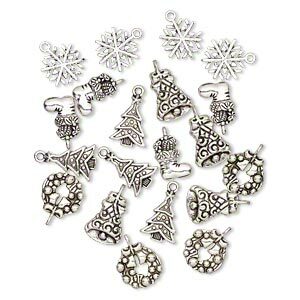 Find plenty of design inspiration in this themed set of antique silver-plated "pewter" (zinc-based alloy) charms. 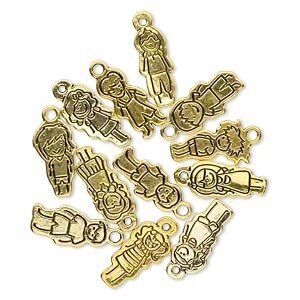 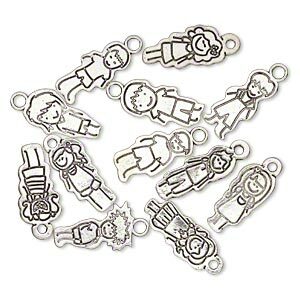 Package includes six each of double-sided boys and girls--each charm features a different design. 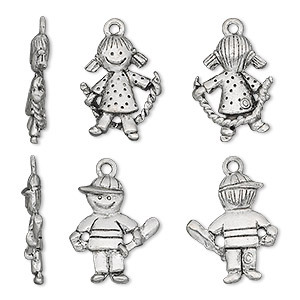 Charms may contain tarnish.